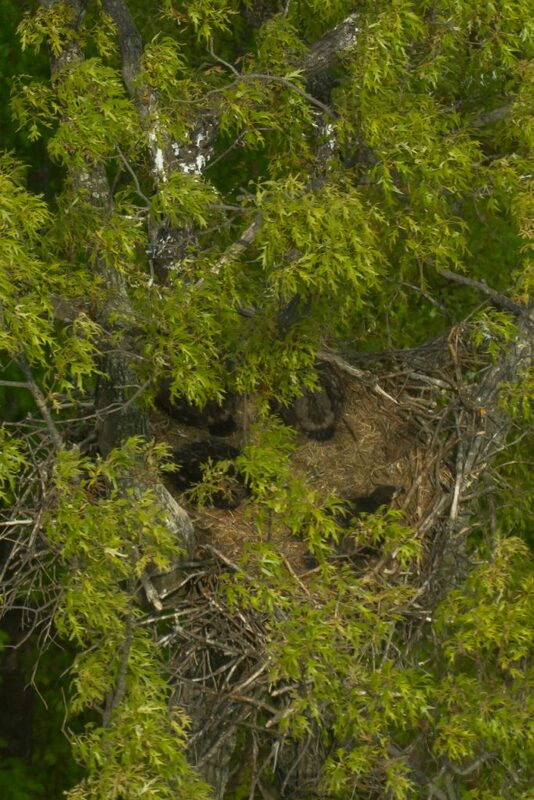 A rare four-chick bald eagle brood at eight weeks old. (Williamsburg, VA) – On 18 April, 2011 while flying eagle productivity surveys along the James River, Bryan Watts and Mitchell Byrd for the Center for Conservation Biology and pilot Fuzzzo Shermer documented a 4-chick brood in a nest on Bailey’s Creek in Hopewell, Virginia. The breeding territory had been occupied for more than 10 years and the current nest is in the top of a large scarlet oak. The four chicks appeared in good condition and ranged in ages from approximately 32 to 42 days. 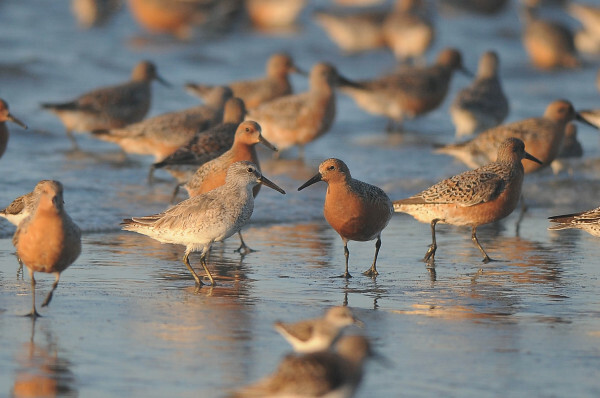 More than 8,000 breeding attempts have been monitored in Virginia as part of the annual survey and this is the first 4-chick brood ever documented in the state. As far as we are aware, this represents only the third 4-chick brood ever documented for this species. The first was in 1986 on the Eastern Shore of Maryland and the second was in 2010 in the water gap portion of the Delaware River. Brood size is a life history trait that reflects a broad range of evolutionary tradeoffs. 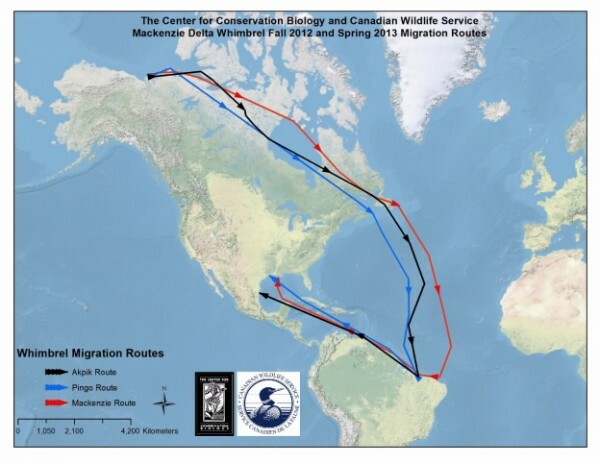 For many large raptors, sibling competition and brood reduction are behavioral mechanisms that maximize chick production under poor resource conditions. Under such conditions, sibling competition imposes downward pressure on brood size to match available resources. When resources are abundant and provisioning exceeds demand, sibling dominance hierarchies are relaxed, the last chick disadvantage is reduced, and brood reduction is less likely. Under such conditions, large clutches provide an advantage by allowing pairs to raise above-average broods. Bald Eagle broods hatch asynchronously, often form dominance hierarchies, and may exhibit brood reduction depending on prey availability. Under normal circumstances, the degree of hatching asynchrony for unusually large clutches likely creates such a disadvantage for the last chick that it sets an upper bound on brood size. 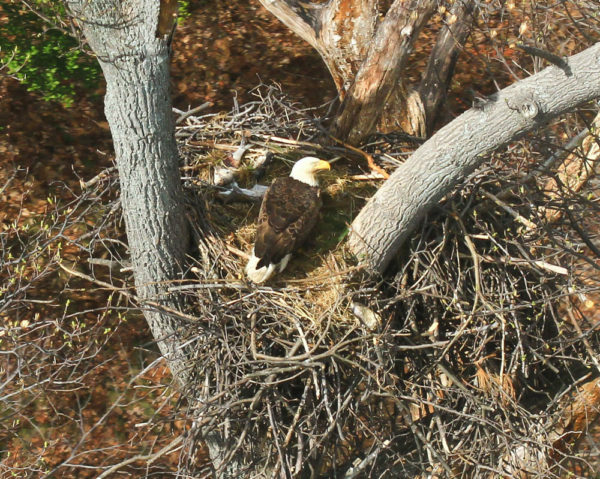 A perfect storm of conditions must come together in order for a Bald Eagle pair to raise four chicks to independence. The female must produce a four-egg clutch, the equivalent of 10% of her body mass, in a narrow time window. If the time span of laying is too long, the level of asynchrony will be too great for the forth chick to overcome. The female must brood and feed the older siblings for several days while maintaining the viability of the forth egg until hatching. Shortly after the last egg hatches, ambient conditions must allow for the female to leave the brood frequently enough to assist the male with foraging and provisioning. Lastly, foraging conditions must allow for high per capita provisioning rates to reduce the strength of a dominance hierarchy and the likelihood of brood reduction. 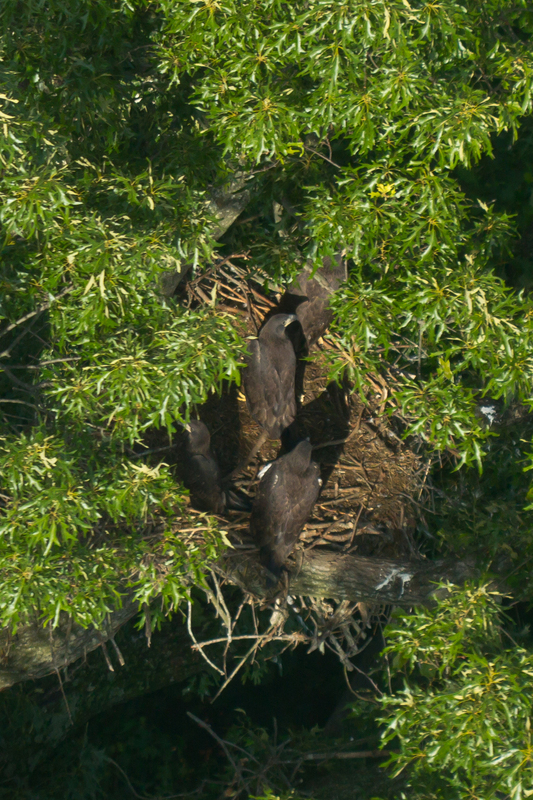 A rare four-chick bald eagle brood at four weeks old.